CAP rate. If you’ve been around the proverbial real estate block, you have certainly come across this buzz term. For those who are just starting to learn how to invest in real estate; CAP rate stands for capitalization rate. If you want the technical meaning, I refer you to Wikipedia’s definition which is: the ratio between the net operating income produced by an asset and its capital (the original price paid to buy the asset) or alternatively its current market value. The Net Operating Income of the property, also known as NOI. The NOI is the gross income minus operating expenses. The sales price of the property. The CAP rate shows the relationship between both of these two items. Formula: CAP rate = NOI / sales price. Capitalization rates are one of the primary metrics that professionals use to find the market value of commercial real estate. A market CAP rate is another term you want to ensure you understand if you are learning how to invest in real estate. So how do you find the market CAP rate of an area? Do research online for the market you want to invest in. Speak with a reputable commercial real estate broker. Speak with a commercial appraiser. Speak with local property managers. If these power team players are good, they should know very quickly what the market cap rates are in their area for specific assets. After all this, you may be asking, well, what is a good CAP rate? Well a better question is what is a good cap rate for multi-family properties in western Charlotte? CAP rates are relative based on the location and the type of asset you are investing in (apartments, retails, storage facilities, office buildings, etc.) What could be a good CAP rate for one asset in one city could be quite different in another city or for another asset class. CAP rate is your rate of return on investment. If you are looking for a 10% return, then look for a property with a CAP rate of 10. Be careful though, typically the higher the CAP rate, the riskier the investment. High CAP rates can signify an unstable property, so be sure you know how to invest in real estate so you’ll know exactly what you’re getting into. If a property is unstable, you need to determine why, and decide if it’s an investment with which you want to get involved. Be diligent and research before buying such a property. They can be lucrative but you have to know what you are doing. If a property’s CAP rate is higher than the market it’s in, then it probably means you are on the right side of a deal. A property that has a CAP rate lower than the area it is in could indicate that you could be paying too much. Do your homework and ensure you have adequate data and an understanding of how the asset was priced by the owner. 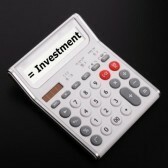 As a real estate investor you want value for money. Overpaying for a property can be detrimental to your cash flow. Understanding CAP rate is an important element to help ensure you stay on course. This allows you to make an intelligent purchase decision. If you want to learn more about how to invest in real estate or know more about the financial analysis of multi-family properties sign up for our very information Property Evaluation Video Series.